IMS Ibiza celebrates a number of impressive landmarks this year, including the 15th Anniversary of UK based label Toolroom Records. Now a global brand in dance music, Toolroom has remained independent and diversified beyond a traditional record label model into successful arms in radio, events, artist management and education. At this years IMS Ibiza, founding brothers Mark Knight (Artist, UK) and Stuart Knight (Toolroom, Managing Director, UK) will share the history of the label, it’s strong musical vision and tight artist roster in – 15 years of Toolroom. Toolroom Academy will also be hosting an A&R session where all artists will be given feedback on their music at IMS Ibiza this May. An anniversary like this can often cause a lot of nostalgia. Do you allow yourself a moment to reflect on achievements before looking forward? Stuart: I think it’s important to allow yourself that. Working in the independent music sector is a whirlwind – you have to be going a million miles an hour to stay at the top of your game, keep abreast of new trends and to maintain your position in the market. So when these anniversary moments come along, it’s a good opportunity to pause and reflect on what you have achieved, without getting too bogged down in nostalgia. Mark: I think that’s the key point – not to get too self-indulgent or too inward-looking. These anniversaries are a good opportunity to reflect on your achievements, and to tell the world you’ve got heritage and you’re here to stay. But to an extent, it’s more of a big deal to us than to the wider world. The key thing is to come up with something new and interesting within the anniversary, which is what Toolroom 15 is all about. How are you celebrating the 15 year anniversary? Stuart: We wanted to avoid a standard retrospective compilation album. We made the decision early on that this campaign was about looking forward, not back, so we wanted to focus on NEW music. Mark: And we wanted to do something on a huge scale. 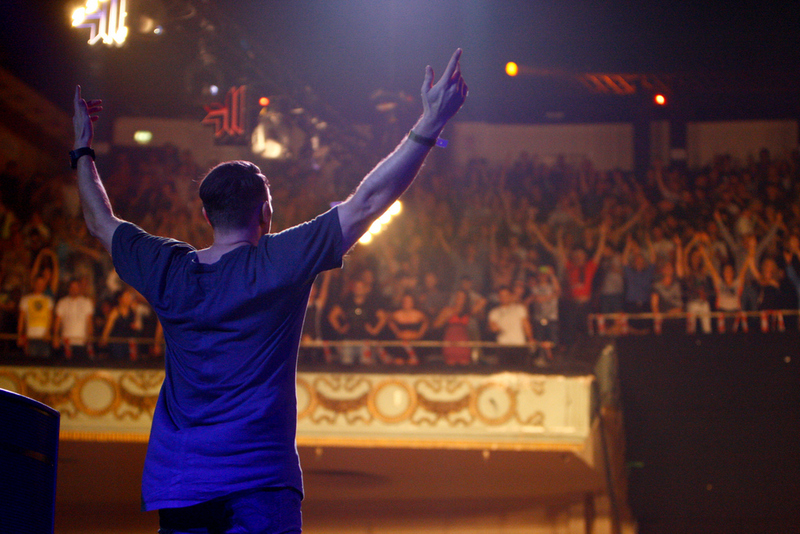 When I think of Toolroom at its best, it’s when we go BIG. Early last year we started reaching out to all the artists we’re working with, telling them we were putting together our biggest ever album of new music. And the end result is a 70-track compilation of exclusive new material from our most respected artists. Established acts like Booka Shade, Format: B and myself; alongside a great number of up and coming producers too. Stuart: Then alongside this, we’re doing a 15 date world tour, visiting London, New York, LA, Tokyo, Bangkok, Portugal and many more places. We wanted to go to major clubbing cities where we have big fan-bases but try different venues. So we’re doing some really cool new warehouse spaces, beach locations – it’s going to be great, and to be fair I don’t think there are many record labels who could pull of a truly international tour like this. What are some of your top highlights over the past 15 years? Mark: Selling out Brixton Academy back in the day was a big moment. 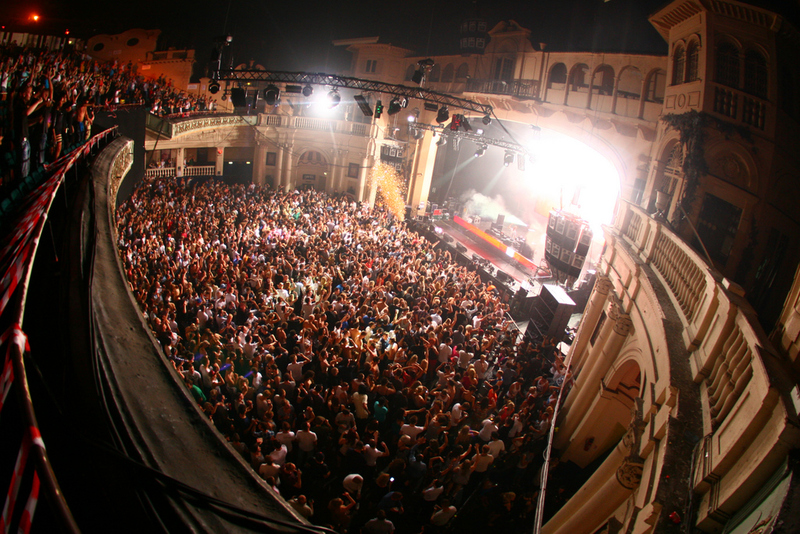 This was back when not many dance brands or acts did Brixton, so it was a big risk. I remember texting Stu afterwards, saying how far we’d come from the days in the Toolshed! Stuart: I’d echo that. 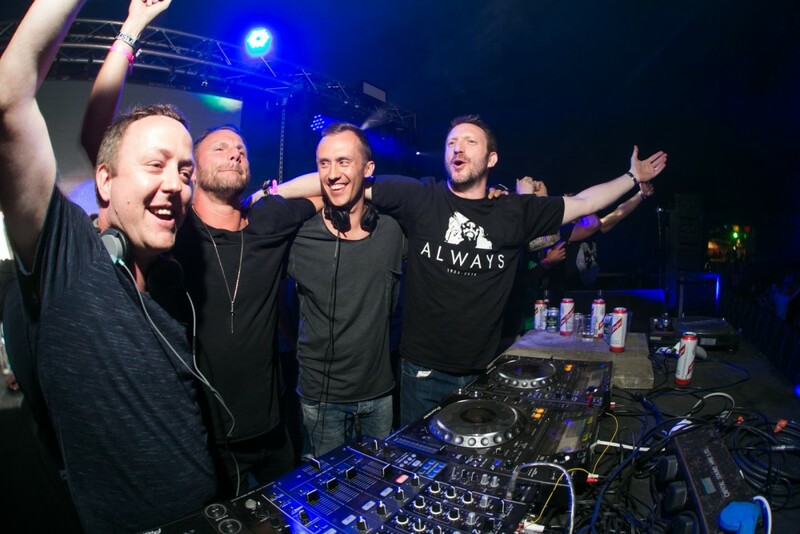 Also for me, the launch of the Toolroom Academy at ADE a few years back was a big highlight. We had Harry Choo Choo Romero give a live production seminar – the audience was mesmerised – and from that moment I knew that education would be a massive part of the business going forward. Mark: Of course we have worked with some huge artists on the label, the likes of – Fatboy Slim, Underworld, Faithless etc but the biggest buzz for me is finding new talent. The list of artists we have found and developed and who have gone on to have huge international careers has been phenomenal, from Fedde le Grand to Weiss its something I am very proud of as my role of Head of A&R. Another one of our panels at IMS Ibiza is discussing emerging party destinations. Where are some of the places that excite you the most & why? Mark: China excites me. Obviously, the sheer scale of the place means there’s a massive untapped market there for the electronic music. I think it will take a while for the underground scene to develop, but when it does; that’s going to fly. Although it’s not an emerging destination as such, the continued development of the U.S as a market for our kind of music; in the post EDM era, is also really exciting. It is by far and away my biggest market. I love the passion and open-mindedness that exists within the scene there. In my eyes Europe could learn a lot from their attitude – it’s really refreshing. Stuart: I’d done a variety of sales jobs – cars, insurance. But been obsessed with dance music from an early age, going to Ministry religiously (I won’t say exactly what age I was!). 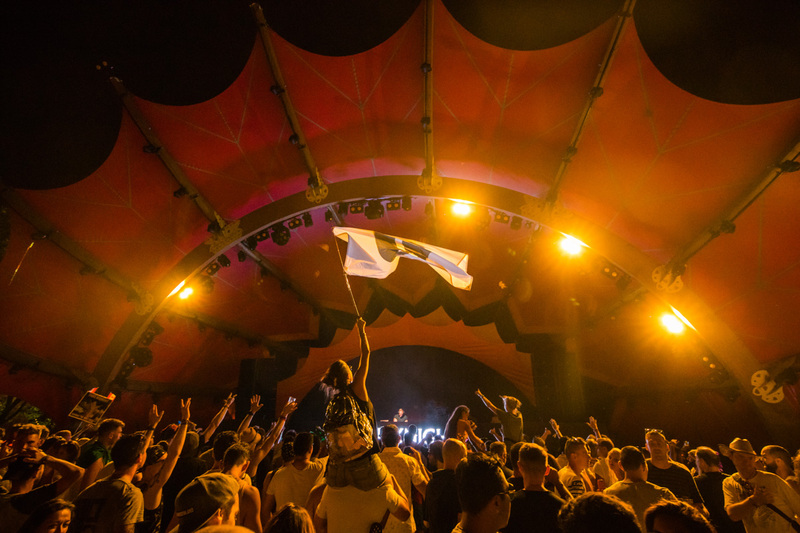 My first love was US house – Tribal America, Masters At Work, that kind of thing. Mark: I’d done various construction jobs, but like Stu, I was obsessed with House music. I had a great boss who put up with me spending more time in the studio than on-site! It got to the point I decided to quit my job, sell my house, and set up a studio in my Dad’s Toolshed (hence the name). It was a huge risk but the best decision I have ever made. Stuart: And at this point, I jumped in at the deep end too. My focus was initially on getting Mark’s tracks signed to other labels – but in the end, we decided we could do it better ourselves. So I took on the business side of things, and Mark the creative. What early moves did you make to ensure Toolroom was different to other labels? Stuart: First of all I really wanted us to be approachable. I’d spent a year calling up labels on Mark’s behalf, not getting through to anyone. So from day one, I wanted us to be different and come with a different attitude. Mark: I think that’s one of the best things about Toolroom. If you call the office now, it could be me or Stu picking up the phone. It’s important to us that we are open and approachable and I think that really comes across in the personality of our brand. Stuart: Also we wanted to build the label on a sound business footing. It’s maybe not the most exciting thing people like to hear about, but one of the reasons we’re here and still growing after 15 years is that we run the label like a business, not a hobby. We have targets, we budget properly; we pay our artists on time without fail. It’s much better now, but when we started there was less professionalism in dance music labels, and we wanted to be different. Mark: Another thing – it sounds so obvious now, but we embraced digital really quickly. This is back at the tail end of vinyl. There was some resistance to sites like Beatport, but we were excited to think that it would open up our music to a worldwide audience. Stuart: We always said at the start that bigger labels were like oil tankers, they took ages to turn around. From the start, we wanted to be faster and quicker to adapt to change, something that’s kept us in good shape all this time. Mark, you released the “A year in the life” album a few years ago with all proceeds going to the charity, War Child. Do you think the music industry has a responsibility to support ethical projects? Mark: Certainly those of us who have been in it a good while, and have benefited from it. It’s easy to forget how lucky you are at times in this business – getting paid well to do something you adore. So it’s only right that you give something back when you can. As business partners and brothers, how has your relationship evolved over the past 15 years? Does it make it easier? Stuart: It’s easier in some ways. Being brothers means we can basically have a right old dust-up of an argument, but then it’s forgotten the next day! Music is a passionate thing, and working in the independent music sector can be stressful, so it’s good to be able to debate things robustly! Mark: Toolroom really is a family business. In the sense that it’s myself and Stu, with our dad mentoring us. But I see the wider team as a family now, they’ve been with us on this journey for such a long time that we’re basically like a family unit. As Stu says, with families you can have heated debates without falling out, which definitely helps! And it also means you’re in it together through thick and thin. Another key theme at IMS Ibiza this is the year is parenting in the music industry. Your both fathers, how do you balance family, business and music? Mark: For me, this is my single greatest challenge I face in my life. I love my job and I know I’m very lucky, but being away from my family is an absolute killer. I liked to be known as the best father I can be first and foremost. If people like my music that’s great, I appreciate it immensely and am truly humbled; but its very much in that order. Dad, then music. I religiously only work two weekends a month, and have done so for the past three years – you couldn’t pay me enough money to miss my son growing up. I have learnt in life that success isn’t measured in “cool” or “money”, it’s about doing enough of the things you love to make yourself a rounded person. Stuart: The nature of the industry means you’re going to be working long hours. It’s not going to be 9-5. I sometimes have to make a conscious decision to switch off from work because it can become so all-encompassing. As Mark says you’ve just got to be hard with yourself on balance. Mark: First and foremost, I come from a record label perspective. Can he/she make great music? Do they have that spark or originality that makes you stop and take notice? That to me is the number one thing. Raw talent can be honed or fine-tuned but do they have to have that “spark”. That for me has to come first. Couple that with determination, vision and drive and I am interested. If I am honest, the scene has taken an unhealthy lean towards the pop model. Very mediocre talent is blowing up because they have a good social media presence or they are good at partying! That fundamentally undermines the values this scene was built on in my eyes. Stuart: Yes music first. But it’s a combination of everything I think. I’ll spare his blushes, but I often use Mark as a yardstick for assessing new artists. Do they have his drive? Do they have his presence? It’s so important to find artists who are creatively talented but also have the determination to succeed to compliment their artistic flair. Stuart: I’m excited as to what record labels can be. Not just vehicles to release music, but brands that are multi-faceted and diverse. 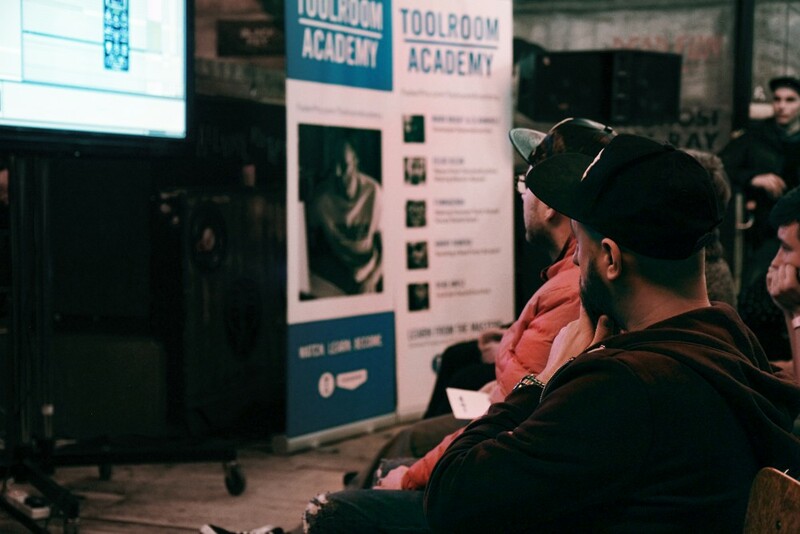 Who says Toolroom can’t be an educational provider through the Academy? Who says we can’t use our model and run labels for other people? There’s nothing stopping us harnessing our brand and reputation in new ways, and I love that the music industry really allows us to try new things like this. Mark: The democratisation of music making excites me. You just need a laptop and some decent headphones, and you can create something special from that. As electronic music spreads further and further around the world, the thought of new exciting artists emerging, and there being very few barriers to them expressing their creativity, is a really exciting prospect. 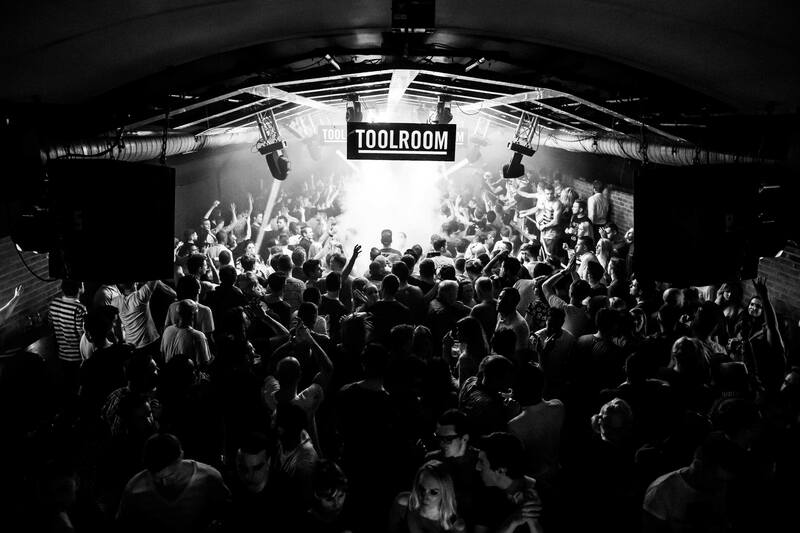 What does the future hold for Toolroom? Mark: It’s a really exciting time for us. We’ve grown the business steadily every year since its inception in 2003, but the last couple of years have been particularly strong. We’re running quite a few well-known labels in the background which is a big focus for us. And there’s still so much to do with Toolroom – growing our international tours, developing some exciting new artists, and moving the Academy on even further. Stuart: After 15 years I really feel we’re at the top of our game. We have an incredible team of people here, staff who I wouldn’t change for the world, and who are firing on all cylinders. We’re going to keep growing Toolroom into new areas whilst retaining our core promise – to release the best House, Tech House and Techno we can find. Secure your IMS Delegate Badge now to hear from Toolroom and over 60 more industry leaders and innovators at IMS Ibiza on 23-25 May. Bringing together the most influential figures in the industry, including artists deadmau5, Seth Troxler and Bedouin; management teams behind Solomun and Black Coffee; speakers from Burning Man, Sónar, BPM and Scorpios Mykonos; A&R heads from Armada Music, XL Recordings and Toolroom; and leading visionaries on Blockchain, Drug Testing, Sexual Harassment and Mental Health.